Some shave creams sell for as much as $25 per jar. Sure, they smell nice, but do you know what you are spreading on your skin? Things like Propylene Glycol and Methylisothiazolinone (skin-irritating preservatives) round out the ingredients of our highest-priced competitors. Step out of the shower and treat your skin with lightly-scented, healthy shave cream that performs just as well as the more expensive products on the market. 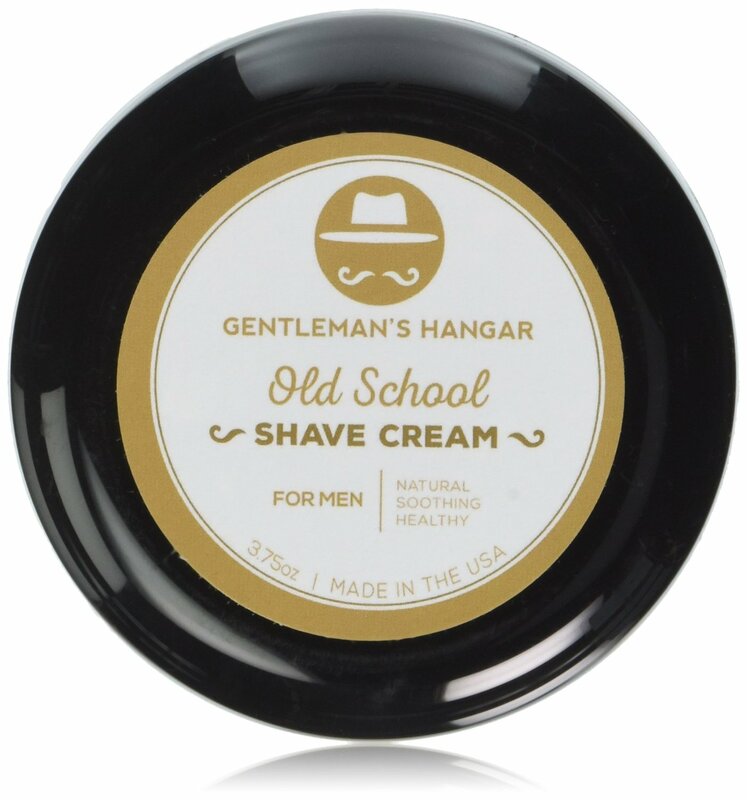 Just a fingertip's worth of Gentleman's Hangar cream is enough to soften the thickest of stubble and reduce irritation on the the most sensitive of neck skin. We suggest keeping away from your wife or girlfriend; she may steal it for her legs, although at less than $20 per jar, you may just get an extra one for her. This shaving cream will bring you back to your father's days of shaving soap, but with many improvements. The very light scent smells fresh and clean, not overpowering. Full of healthy ingredients (see below), this cream will lather up easily onto your face while nourishing and protecting your skin. Expect great results with your favorite razor. Water, potassium myristate, potassium stearate, sodium myristate, sodium stearate, glycerin, carthamus tinctorius (hybrid safflower) seed oil, sandalwood essential oil & fragrance, aloe barbadensis leaf juice*, betaglucan, symphytum officinale (comfrey), calendula officinalis, camellia oleifera (green tea) hydrastis Canadensis (golden seal) root extracts; tocopheryl (vitamin E) acetate, cholecalciferol (vitamin D), retinyl (vitamin A) palmitate, zea mays (corn) oil, hydroxyethylcellulose, sorbic acid. *Certified organic ingredient. 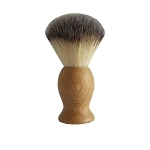 For best results, lather with shave brush. May also be spread with wet fingers. Much nicer than any shaving cream from a can. Feels great on my skin with a very pleasant aroma! It did take a little adjusting to get used to how rich and thick the lathering was but that is in no way a complaint! I use just a dime size every shave and it creates a very good lather. Nice pleasent smell that isn''t too strong. One of this will probably last me months since I shave no more than twice a week. Smells nice, and is subtle. It has a nice old barber shop smell. The lather is great and goes a long way.